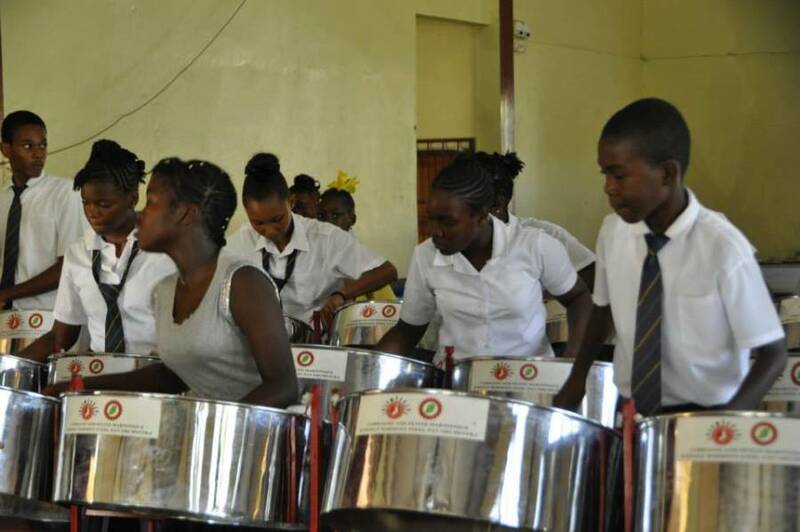 The Division of Culture in the Ministry of Carriacou and Petite Martinique Affairs, recently hosted a steelpan workshop as part of a Schools Steelpan Programme targeted to schools on Carriacou and Petite Martinique. This initiative was launched in 2009, to help upgrade young pan players from the primary and secondary schools, and to prepare them for competition on a regional level. Schools Steelpan Programme Tutor, Leroy Sylvester was assisted by his Grenada counterpart Steelpan Tutor Dashiki Phillip. Phillip said, “Although there is a small number of players compared to that of the mainland, there is a lot of potential which can be developed with the right assistance.” He also added that there is a lot more work needed to be done on exposure for the talented players on the island in order for them to become more recognised as musicians. The sessions were held on 1–2 April.